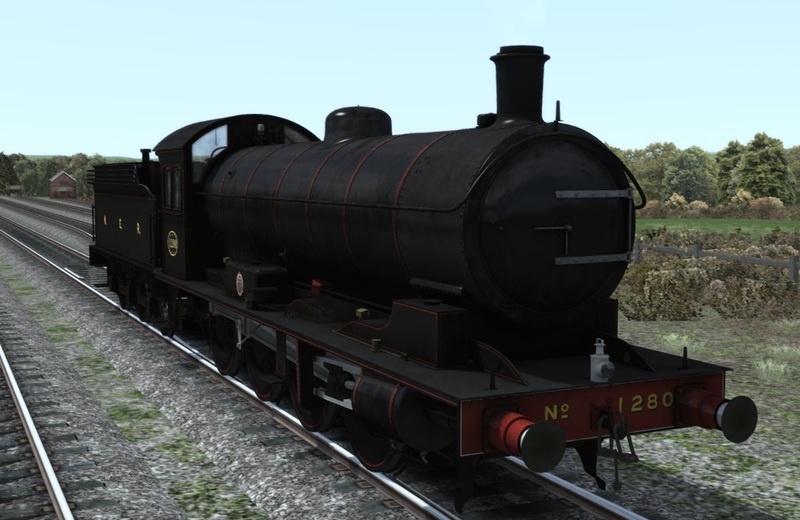 After a very nice break over Christmas we are now back in full swing and over the next 3 weeks we will be bringing you pictures of all of the Q6 liveries and today we are starting with the birth of the class under the North Eastern Railway. 120 Q6's (at this time referred to as NER T2's) were built from 1913 until 1921 for hauling the rapidly expanding mineral traffic of the early 20th Century, and all members will be available in our add-on with the correct numbering and liveries. Despite being solely for pulling freight the NER still took the effort to make their engines look well turned out and this is where we begin with the livery used from 1913 until 1917. 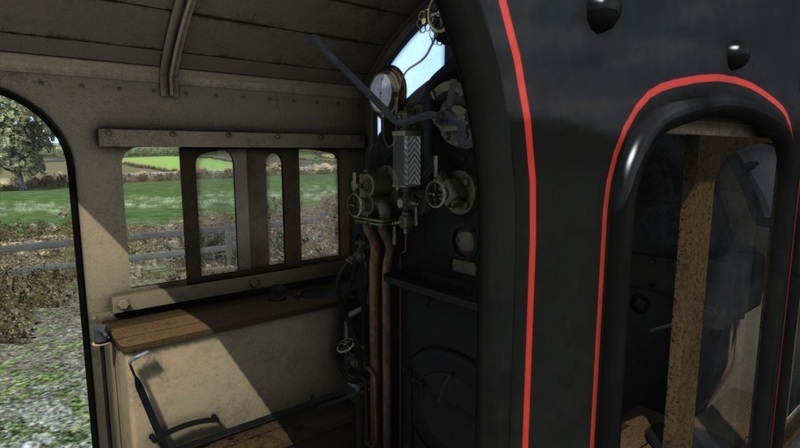 The cab was similar to other Raven designed engines of the period, featuring an engine brake - a train brake being superfluous due to mineral traffic being unfitted - and also steam powered reverser. 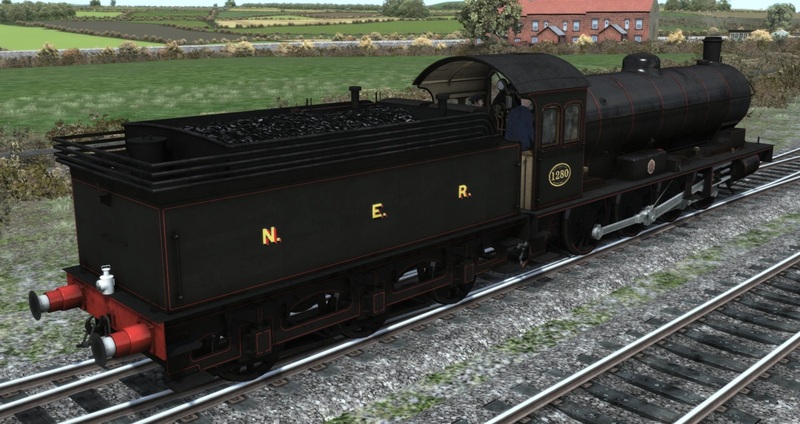 The livery was slightly changed in 1917 when the numberplate on the cab side was drastically reduced in size and the engine number was added to the tender between the traditional NE lettering. 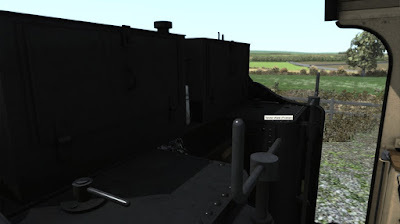 It retained the red lining and also the NER crest on the rear sand box. 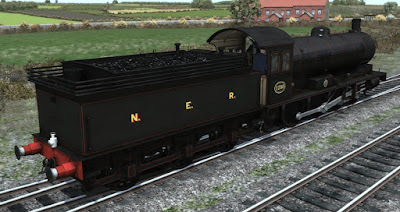 In 1923 the NER became part of one of the new "big four" companies, the LNER, and it was time for a new appearance however the NER livery made another showing from 1975 until 1982 as the North Yorkshire Moors' newly preserved Q6 No. 63395 was numbered as No. 2238 and repainted, in the livery it had as an NER T2, for the celebrations at Shildon. She continued to run at the NYMR in this livery until 1982. 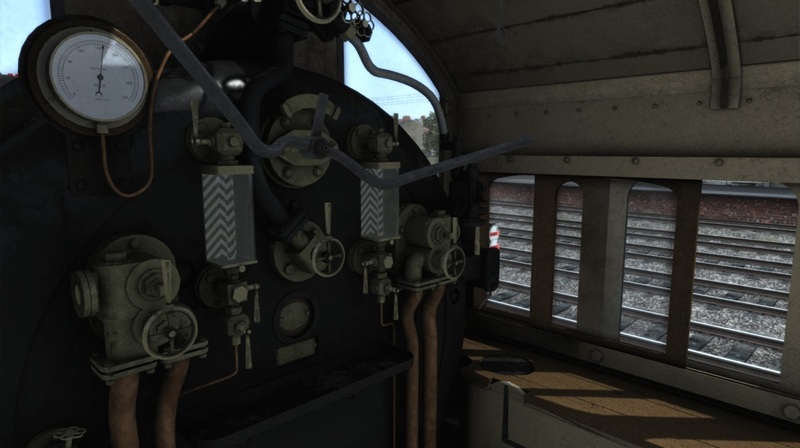 In this preserved livery the Q6 is fitted with a vacuum brake so she can be used on passenger services. Next week we are off to the LNER to see what they did with the Q6 over their 25 year ownership. I don't spot a vacuum pipe, so these engines are unfitted? That is correct, engine brake only on the versions before preservation.